Dutch violinist Liza Ferschtman is known for her passionate performances, interesting programs and communicative qualities on stage. She is equally at home on the concert stage with concertos, chamber music, recitals and solo works. In 2006 she received the highest accolade awarded to a musician in the Netherlands, the Dutch Music Prize. An avid chamber musician, Ms. Ferschtman has collaborated regularly with artists such as Jonathan Biss, Alisa Weilerstein, Elisabeth Leonskaja, Nobuko Imai, Lars Anders Tomter, Christian Poltera, and counts as her duo partners the pianists Enrico Pace and Inon Barnatan. In addition to appearances at numerous international Chamber Music festivals, she has performed at venues such as the Alice Tully Hall in New York, the Library of Congress Washington, Wigmore Hall London, the Brahms Saal at the Vienna Musikverein, as well the Concertgebouw in Amsterdam. Since 2007 Ms. Ferschtman has been the artistic director of the Delft Chamber Music Festival, one of the prestigious festivals in Europe. During her tenure the festival has become widely renowned for adventurous programming with dynamic performances by artists from around the globe. Liza's recording of the Beethoven concerto and romances was received with great critical acclaim, as well as her other recordings with concertos by Dvorak and Röntgen, solo works by Bach and Ysaye, and duo works by Beethoven and Schubert. "Ferschtman's playing almost transcends earthly matter. Physical limitations seem to have no hold on her. Completely pure in tone and beautifully even, the notes flow from her violin." Liza Ferschtman need not fear any comparisons…(her) imaginative design of each phrase and the closeness of its conception! "I have nothing but enthusiasm for this release, and I look forward to getting to know this violinist’s work better. In an era dominated by conservatory-trained bots, she is the real thing." 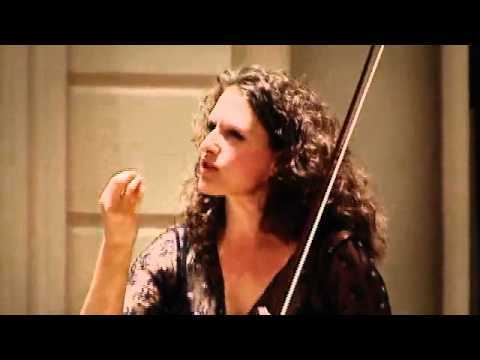 The Dutch violinist Liza ferschtman manages to do this with sovereign and unforced playing, which emphasizes the immense beauty of this music in a classically balanced way. "Here again, Ferschtman takes a subtly shaded approach, the brilliance and energy of her performance thoroughly compelling. 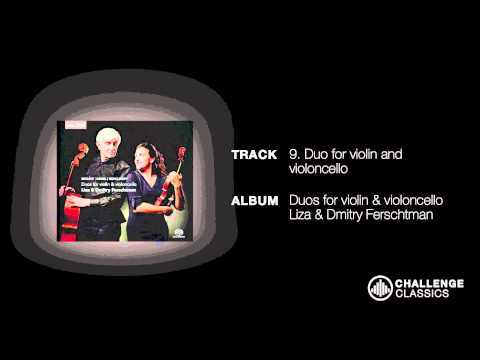 The moments when the texture clears and the solo violin emerges alone are particularly entrancing, and Ferschtman’s artistry and flair never falter." "All concerned respond to its moods with the utmost sensitivity, evoking the Symposium's varieties of love with a refinement that eludes bigger names and might have surprised the composer too. Ferschtman's intonation is well-nigh flawless." "A qualified welcome for this new disc; the Bernstein certainly gets a fine performance." "Again, though, Ferschtman's playing makes the most of its strengths, eloquent, flexible and fleet-fingered." "5 for performance and 5 for recording!" "Ferschtman brings Erich Wolfgang Korngold to life in a stunning way." These are straightforded, well-paced performances that are eminently serviceable for both works. Soloist Liza Ferschtman playing is elaborated and technically accurate. "Her account is impassioned. Her great technical accuracy joins to a driving expressivity, in a travel among endless colour nuances"
"An entertaining duel of violin and percussion. That has never been shown in de Doelen." "I’m very happy with this new combination Korngold/Bernstein and Liza’s reading of both." "What seems to be incompatible is masterfully combined: that not only applies to Liza Ferschtman, but also to recording technician and editor Bert van der Wolf, who has made a harmonious whole of two incompatible recording spaces." "Swoon and swinging with violinist Liza Ferschtman in top form." Liza Ferschtman sharply captures the character of the two concerts: the creamy mercy of Korngold with the Prague Symphony Orchestra under Jirí Malát and Bernstein's intense dialogues about the love she has with the Arnhem Philharmonic Orchestra and conductor Christian Vásquez. The violinist does what she can do best: painting colors with great musicality, evoking images and telling stories." "Win the Album of the Week of star violinist Liza Ferschtman"
"Ferschtman finds the very diverse characters convincing, with freedom and imagination"
"A very beautiful performance, a masterful CD!" The fact that Korngold's Violin Concerto also sounds colorful and pretty passionate in all its bitterness, is trusted to Liza Ferchtman and makes this publication a deserved success." "Again a beautiful album by Liza Ferschtman that you should not miss." "Dazzling! Radio 4 CD of the week!" "It brought him and us The Serenade to Plato's Symposium, musical dialogues about the beautiful and dark sides of love. The Gelders Orkest and violinist Liza Ferschtman opened the Bernstein year in the Netherlands with this masterpiece." "Violinist Liza Ferschtman shows with the Serenade another side of the composer in het Muziekgebouw." "Both masterpieces touch you directly in the heart." "100 JAAR BERNSTEIN with Liza Ferschtman"